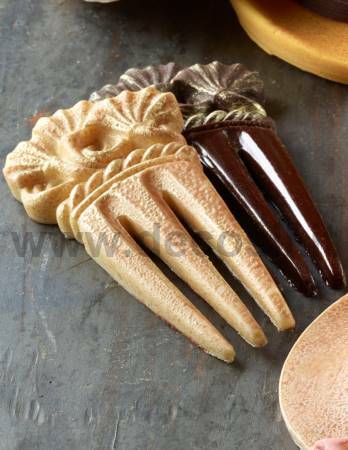 Comb-Clip moldComb-clip Mold - This mold can be used to create a chocolate or a sugar paste Comb-clip to propose as Christmas Gift at the clients of hair salons. Mold weight: approximately 0,034 kg. Weight of the subject made of chocolate: 15 g.